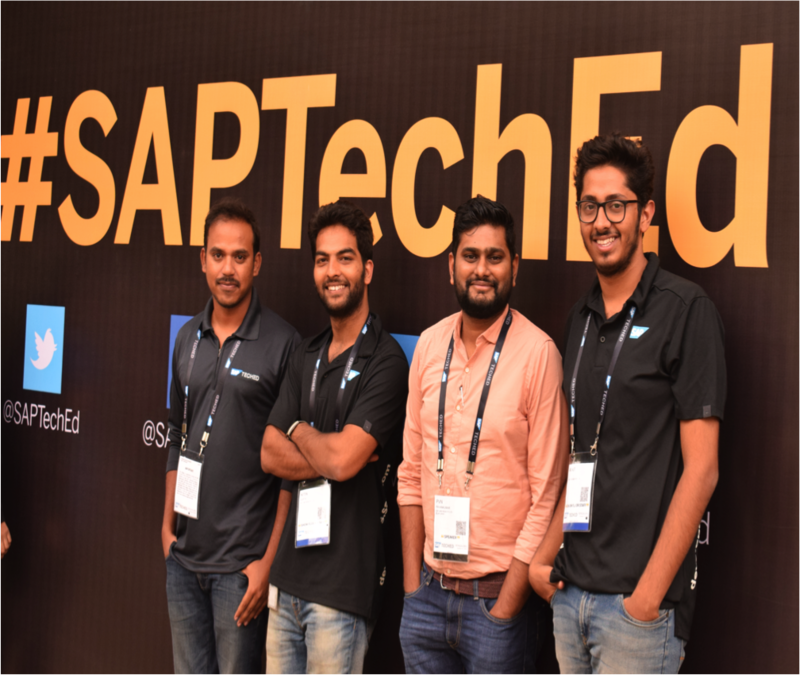 This year SAP TechEd Bangalore edition gathered lot of IOT buzz because it happened right after prestigious SAP- Trenitalia event and SAP’s major global announcement about 2 Billion investments into IOT and off course midst of ongoing openSAP MOOC Imagine IoT . It’s also a super coincidence that Kevin Asthon – reputed as “Father of IoT “ who coined the terminology “Internet Of Things” was in Bangalore a day before SAP TechED, which gathered lot of attention in local media. 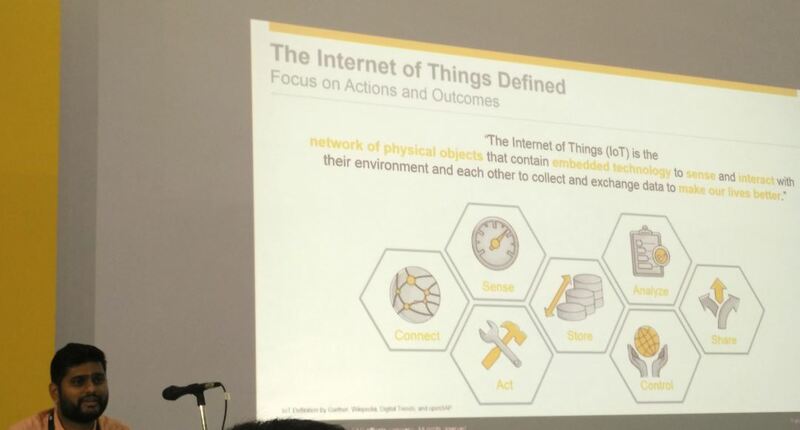 All these factors propelled the momentum and fueled interest among attendees of SAP TechEd Bangalore to understand what exactly is Internet of Things and SAP’s IOT story. From enthusiastic speakers to the ever inquisitive and keen audience, everyone had an infectious level of enthusiasm, which set up the apt mood for the event. Statistics say that 9 out of 10 people are new to IoT, given the fact; I got the opportunity to talk on IoT made easy and how to Create IoT Apps for Smart Connected Business .It was easy for me to introduce myself as one of the team members of the ongoing popular (openSAP) MOOC “Imagine IOT”. Immediately following this session was my next lecture session on the topic of Moving Exabytes is Expensive. This session talks about how big and expensive is the IOT data to capture and process in the cloud and how Lambda processing at Edge (where IOT data gets created) enables IOT scenarios to scale; and how SAP data components can help to deliver a holistic distributed data management platform. There are lot of numbers and examples on my slide deck which say that IoT data is the order of magnitude of Exabytes!Best part of the whole session is the moment when majority of the participants photographed the data rich examples presented on the slide deck – Thanks to Former Member for orchestrating such examples! 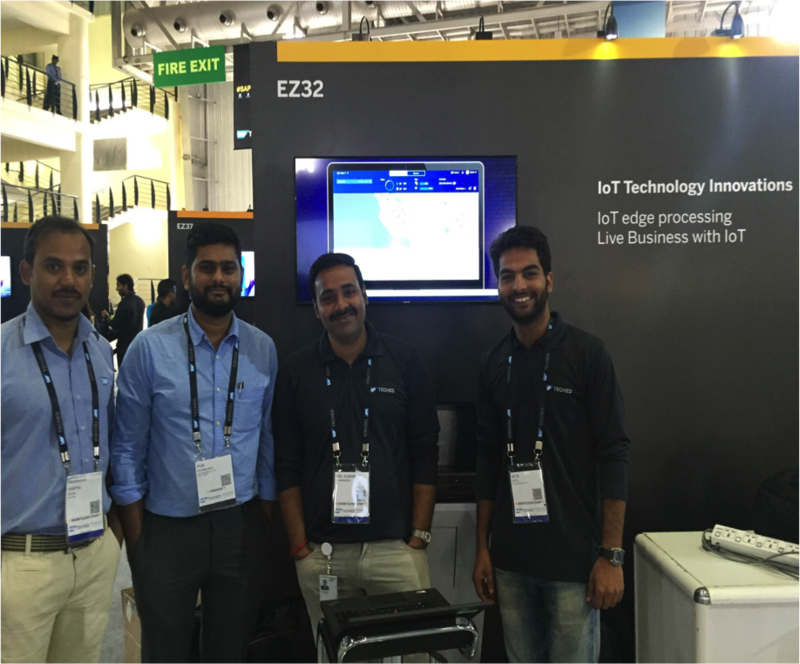 Its a privilege for all us to represent in one of the 3 IOT demo pods in TechEd area, we had a 3 day long demo pod titled SAP IoT Technology Innovations where in we got a chance to showcase the topics 1) SAP Connected Goods – an IoT solution born this August in SAP Digital Assets and IoT family and looking forward to celebrate its 2nd birthday this year .In short, SAP Connected Goods enables companies to Connect, Track, Monitor and Manage large number of smart connected high volume devices such as vending machines, coolers, coffee machines &others and transform them from a standalone device to a revenue generating asset . 2) SAP Dynamic Edge processing combines algorithms, syncing architecture, and customized database technology to allow businesses to process much of their IoT data locally, where it’s created and needing to be consumed, with syncing and central transmission occurring more securely, efficiently, and opportunistically. This reduces the amount of sensor data that has to be transmitted (and thus, the cost associated with data transmission) and allows for scenarios where data and insight is where you need it, when you need it. App Space and Smart Vending Machine – one region that was always jam-packed for all three days at the TechEd. To conclude – Looking forward to a more exciting TechEd next year … till then run connected like never before!! The views expressed in this article are those of the author and may not reflect those of SAP. 4.Retail Case study and many more. Looking forward to hear more IoT Stories from you !!! Humbled to see your comments .. great to know that you enjoyed the sessions well.